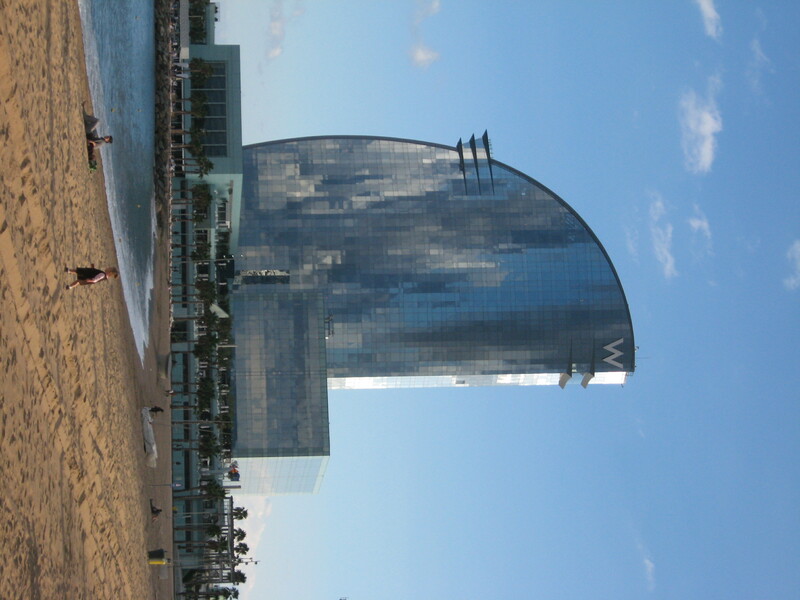 Locals don’t know what you’re talking about when you mention the W. They know this magnificent sail-shaped hotel as the Hotel Vela (vela means sail in Spanish.) But it’s not hard to get the message across. 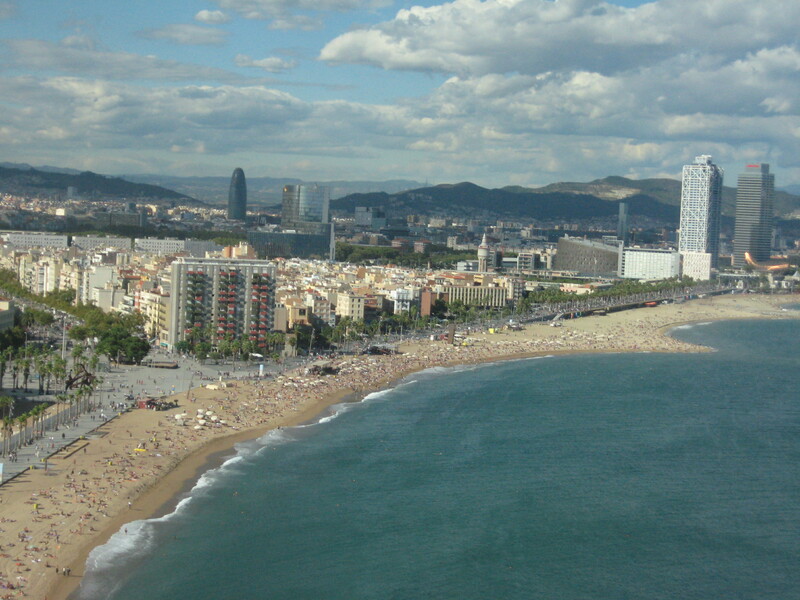 The hotel towers above Barcelona’s shoreline and can be seen sparkling in the sunlight from most points near the beach. I generally don’t write a blog post exclusively about a hotel property, but this one deserves a place in the sun. It is truly awesome, and had me repeatedly screaming, “I’m not leaving” as Virginia and I made our way back down the beach to the hotel after a night out celebrating with the locals. 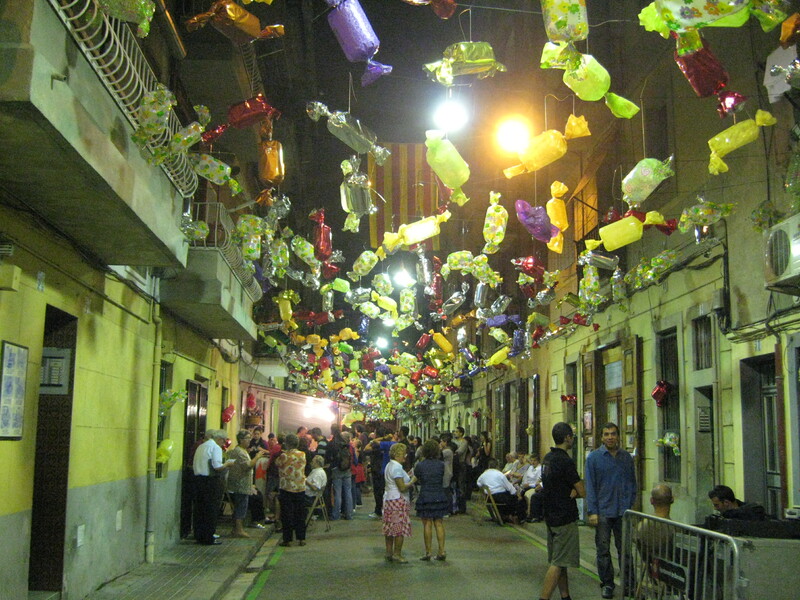 We’d been fortunate enough to have been in Barcelona for the Festes de la Mercè, a week-long celebration in honour of La Mercè, the female 17th century patron saint of Barcelona. The city was rocking! There was free entertainment everywhere in the streets! 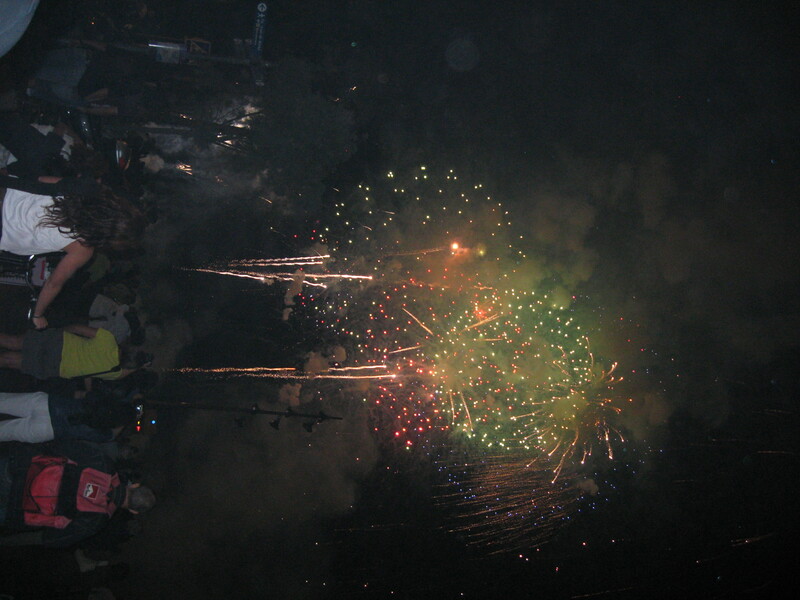 People dancing and singing, colourful decorations, and some of the best fireworks I have ever seen. How fortunate we were to have timed our visit to experience this excitement. I knew I’d love Barcelona, but being in the city during festival time and staying at the W Hotel made this three days among the most memorable of my life. I’ll blog more about Barcelona in 2 weeks (look for it during the week of November 23rd.) But for now, here are a few images to entice you. If you go to Barcelona, I’d highly recommend getting a copy of Eyewitness Travel’s Top 10 Barcelona, a handy guidebook that is comprehensive, yet light enough to throw in your purse or backpack. 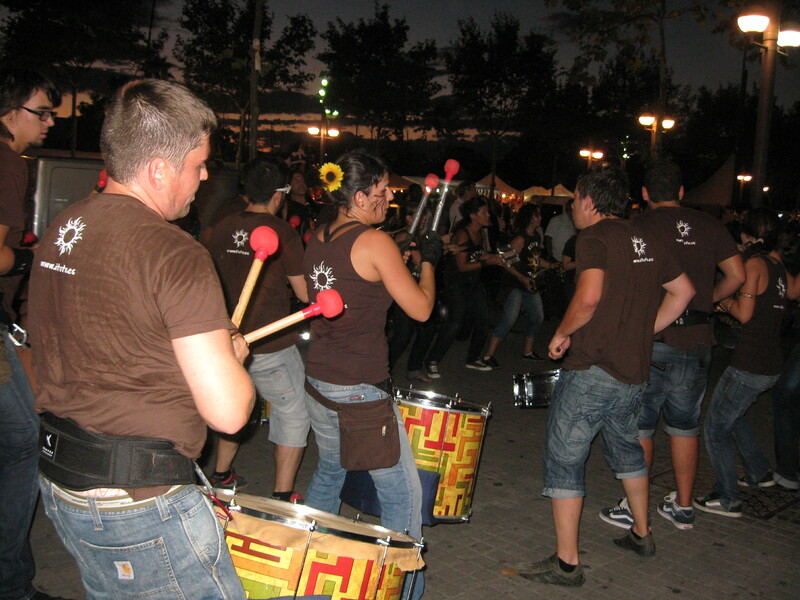 More on Barcelona can be found on the site of Barcelona Tourism.